A Sampling Bee: Back To School $2,000 GIVEAWAY! Welcome to A Sampling Bee! The school year is approaching FAST! So, I have teamed up with several blogger to co-host this amazing giveaway! Four (4) winners will win $500 Paypal cash or Amazon GC! What are you going to do with your winnings if you win?? Giveaway will open on 8/10/18 @12AM EST and end on 9/15/18 @11:59 PM EST. There is one mandatory entry with multiple bonus entries. Only the mandatory entry needs to be completed in order to win, however the more bonus entries completed the more chances you have to win. There are daily entries as well. Must be 21 years or older to win. Four (4) winners will win $500 Paypal cash or Amazon GC. Entrants must complete entries and each winning entry will be verified. If selected winner does not complete or verify entry a new winner will be chosen. Winners will be notified no later than 9/20/18. Winner will be emailed and must respond to claim prize within 48 hours via the email they signed into the widget with. If winner doesn't respond within 48 hours a new winner will be chosen. Once winners have claimed prizes they will be announced on the Winner's Circle page and sent to co-hosts. Void where prohibited. Wow, what an ama giveaway! Glad to have found your blog! Thank you for the wonderful chance to win. 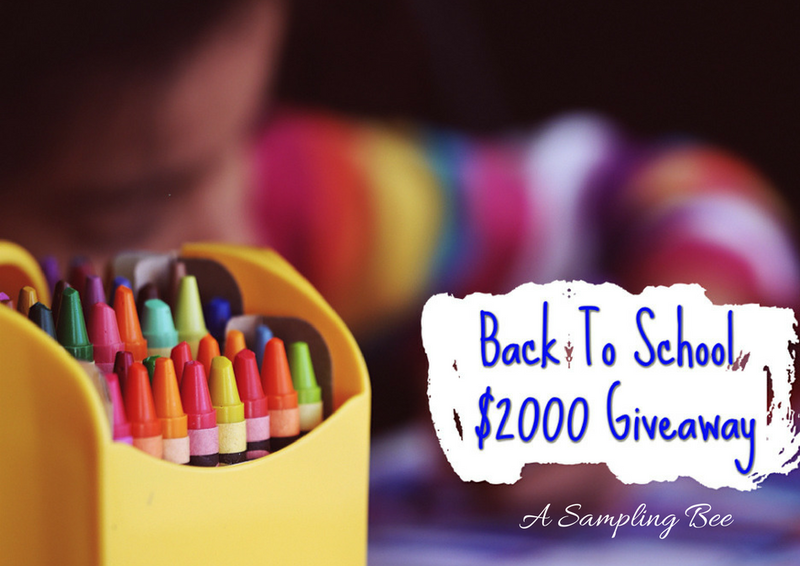 It will help get clothes and school supplies for my nephew's for back to school. We could really use this for back to school! Whoa, this would help out with the new clothing and school supplies we need! What an awesome giveaway! Awesome giveaway! I'd love to win it would really help my family and be well appreciated. Thanks so much for the opportunity and chance. Found this on A Sampling Bee Blog, so fun and thanks! I would take my granddaughter shopping for school clothes. This is awesome and I could smile my grand-kids! Thanks for this chance to win! Thanks for the giveaway. If I won, I would put it towards a new watch. This is a grear giveaway. This is such an absolutely amazing competition. Back to school month and my sons bday are the same month so this would be so amazing and fun for us to win! This would be wonderful to have right now! This is so nice! I could start holiday shopping! What a nice, generous competition. Thank you so much!